ANALYSIS: The Arctic is finally seeing a greater share of U.S. defense spending. But politicians are sidestepping a difficult conversation about whether the nation can afford it. The Pentagon is about to get one of its biggest spending increases in U.S. history but the Trump administration and Congress are making no plans to raise taxes to pay for it. The increased spending will swell the U.S. deficit, now closing in on $1 trillion a year, ignoring the difficult question of revenue. It means no discussion of what the nation can afford, founded on the falsehood that there is such a thing as a free lunch. Alaska’s Congressional delegation is solidly behind the $82 billion increase represented in the House and Senate versions of the National Defense Authorization Act. The total Pentagon budget is expected to be in the range of $710 billion, one of the largest in history. “It is imperative that we support our troops with the resources, equipment, and training they need to do their jobs and keep our nation safe,” Sen. Lisa Murkowski said in a press release. “This bill not only sufficiently addresses the national challenges we face, but also provides the flexibility needed for our military to make targeted investments for the future,” she said. The increase is the result of a bipartisan deal in early 2018 to boost spending by about $165 billion over two years, part of a deal with Democrats that raised spending on domestic programs by a like amount. It comes at a time when the Alaska delegation is still calling out deficiencies in Arctic programs and seeking more spending on icebreakers, Arctic infrastructure and military preparedness in the region. The plan seeks to accelerate the expansion of missile defense in Alaska, with 20 new ground-based interceptors, and study the cost of adding an entirely new missile field at Fort Greely. Even with the growing defense budget, the U.S. is “days late and millions of dollars short,” compared to Russia and China, Sen. Dan Sullivan said in a press release. The Senate is backing plans to authorize six U.S. Coast Guard icebreakers, wants each branch of the U.S. military to create a strategy for the Arctic and study an Arctic port. That translates into billions in future expenses to expand military operations. “Our rivals in Moscow and Beijing already acknowledge and are acting upon the Arctic’s geopolitical significance and it is well-past time for the U.S. to do the same,” Sullivan said. But what’s missing is any acknowledgment that the costs of additional Arctic infrastructure will have to be paid by someone, sometime. At a recent stop in Alaska, Defense Secretary James Mattis said that U.S. has to “up its game in the Arctic” because key waterways are no longer closed by ice. “So the reality is that we’re going to have to deal with the developing Arctic, and it is developing. It’s also going to open not just to transport, but also to energy exploration,” he said. Over the past three years, the Alaska delegation has won approval for spending $1.3 billion on military construction in Alaska, about $287 million in the next fiscal year alone. 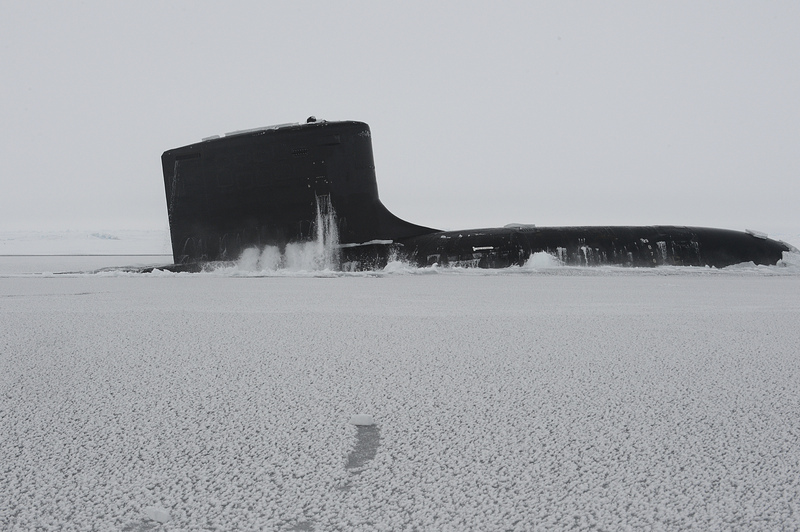 The National Defense Strategy released in January did not mention the Arctic, an omission that has led Congress to require a report later this year on a joint strategy for the Navy and Coast Guard. “The briefing should take into consideration the Arctic’s relevance in the Navy’s configuration of a 355 vessel fleet and identify proper Navy and Coast Guard resource allocation to that effect,” the House Armed Services Committee said in May. One report sought by the Senate would identify opportunities to expand training in cold weather and amphibious landing locations, including the potential for a live-fire exercise. Another report would cover plans by the Army, Navy, Coast Guard, the Marine Corps and the Air Force for the Arctic. This includes infrastructure needed for the future and a review of current and future capabilities of Russia and China in the region. The situation looks much different under the Trump administration. The appetite for increased Arctic spending is obvious — as is the desire to pay for it by adding to the deficit, the path of least resistance.